Answer cards are a great way to involve an entire class and quickly see who’s on the right track. Place inside a library book pocket 6 or more 3×5 notecards. Across the end of each card put one response. I use A, B, C, D, and YES, NO. You may want to add TRUE and FALSE or others you need. The students remove the cards they will need and hold their cards close so no one can see them. Then I state the question and answers, repeat once, then tell them to think (wait a few seconds…..), say “get your answer ready”, “now, show me your answer”. All answers must be held up at the same time. You can see in a second who needs help. If many are wrong say “put your cards back and let me give a clue.” Then repeat the steps. The kids love this and they feel successful and involved. BONUS! I’ve done this several times during evaluations and I never fail to get extra credit for student involvement and motivation. I have found that kids love computers, so I loaded some 3rd Grade games on mine and let them play. I made a list going in alphabetical order to see who goes on first. They get to skip reading time to play an educational game that I count for points in their grade. One student a day gets to skip. 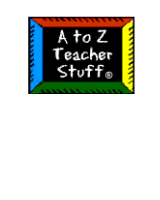 I suggest The Learning Company as your main software because they have very educational games. The parents love how the kids are learning but having fun at the same time. Sometimes it helps with their typing skills as this will be needed for Middle School. Practice spelling, math or whatever, clean the desks and make the room smell great! Have students clear their desks and give them a glob of shaving cream. I have my students practice writing spelling words, math problems or whatever I choose that day. After finished, allow students the creative freedom to explore the cream. When all dried up, sponge off the desks. Everything looks and smells wonderful! Recently, I created an alternative to the popular Harry Potter and Hogwarts School. I renamed our school the _____ School for Spirituality and Sainthood. It’s a private Catholic School, so this was acceptable. For the public school version, I created another name based on a fictitious animal mascot; be creative. Fire= The Firekeepers, symbol: a burning wood fire, color: red. Each student put on a “Sorting Hat” that I made from construction paper & decorated with the 4 colors. They chose a slip of paper on which I had written the House name. Obviously, I divided the number of students into the 4 Houses beforehand. During the sorting ceremony, they went to a plain piece of paper mounted on construction paper of their House color and signed their name. After all were sorted, I maded a colorized list on my computer Word program and mounted them on a bulletin board with their House symbols and names grouped separately. They have responded to the earning of House points, which I award for behavior I want to reinforce such as cleaning up, listening to directions, neatly written papers. I do not award points for academic work. The whole system of Houses encourages friendship & loyalty, just as in the books. Only none of Houses are negative, like Slytherin. They are only calling on the students’ strengths. In my Catholic school, I based the 4 Houses on the 4 Gospel writers, Matthew (the ox= Oxenstrength House – green), Mark (the lion= Lionsheart House-brown or yellow), Luke (the Angel=Angelclouds House-blue) and John (the eagle=Eaglesclaw House-red). Have fun! At the beginning of the year I give each of my students a white painter’s cap with their name on the brim (purchased at Michael’s). They can wear the hats while reading in class. As they read novels throughout the year for their individualized reading program and complete activities on them, I write the titles of the novels on their hats in coloured permanent marker. The more novels they read and report on, the more titles on their hats! At the end of the year I give them fabric paint to decorate their hats and then they take home a permanent record of the books they enjoyed in grade four. Students love to make PowerPoints. This not only will get the students involved but even weak students love to create PowerPoints. The student learns so much about the subject and the technology of creating the PowerPoint. Works quite well in my English III classes. I have made a ‘bus’ for my classroom out of a large box. I have painted and decorated complete with number plate ‘UCANREAD2’. Inside the bus (it has a door and windows) there are cushions. Throughout the day when a student is working particularly well I hand out a ‘bus pass’. This is a little home-made badge with a bus on it. That student whenever they read during the day is allowed to read in the bus. Usually there is a maximum of 2 students issued with these passes. When trying to get my 6th grade students interested in reading about current events and active newspaper readers, I decided to create a scavenger hunt. They got lists of terms or people to find in the newspaper and the first group done was rewarded. They ended up realizing how interesting and easy reading a newspaper is and up to date in current events.